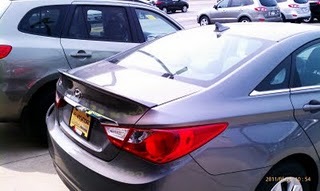 My work place at Massey Hyundai received the first shipment of spoiler for the new 2011 Sonata. They are flying out of the store like hot cakes. Stop by today and have yours installed before we sell out of your color. Supplies right now are limited. 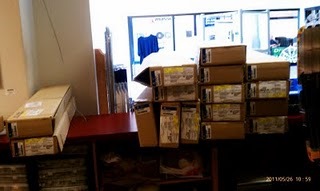 So Hurry to get yours installed! You can give us a call at 301-739-6756.